hd00:30The sun sets on an American flag blowing in the wind on a cold winter day in Chicago. 4k00:06US flag waving against blue sky with small eagle on top of pole. 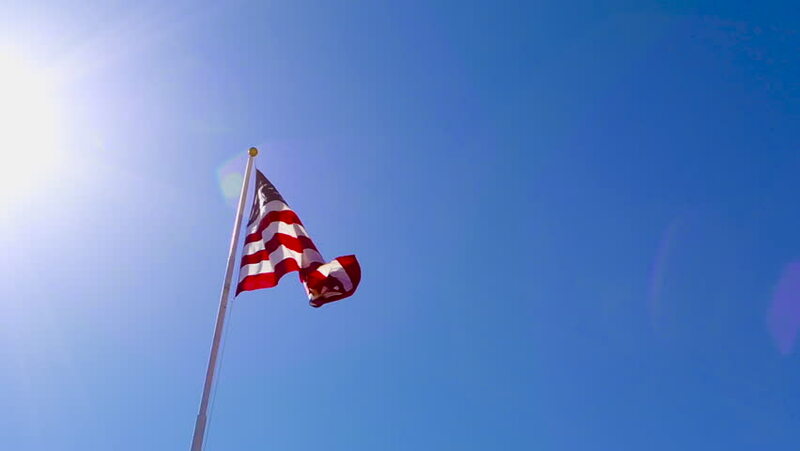 hd00:11Sliding shot of sun shining on an American flag.